Agoda is by far the most popular OTA in the Asia-Pacific region so we’re thrilled to announce that we are now able to track and display Agoda prices and disparities on the Price Check widget and in the Disparity Dungeon. Additionally, because Agoda often change their prices in an irregular fashion, it becomes very difficult for hoteliers to replicate the disparities. That’s why we’ve also added screenshot functionality whenever there is an Agoda disparity, so that you’ll have proof that the disparity occurred even if you can no longer replicate it yourself. Asia-Pacific is the largest regional travel market in the world - but with OTAs accounting for 70% of the online hotel market, driving direct bookings is a serious challenge. This update helps hoteliers start to redress that balance and take back control of their direct bookings. 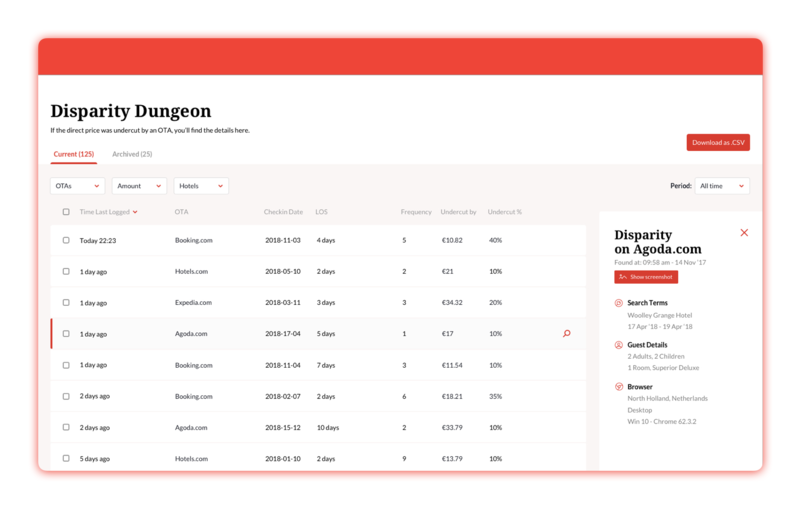 Get in touch with your Customer Success Manager to add Agoda to your Price Check widget and Disparity Dungeon today. As ever, we’d love to hear your feedback on our latest update. And if you’d like to learn more about the direct booking landscape in the Asia-Pacific region we have a Spotlight on… report covering everything from the power of OTAs in the region to insights from insiders and some of the theories behind Agoda’s ‘changing prices’. You’ll also be able to benchmark your hotel with undercutting data broken down by country. Head over to the blog to download your report. The welcome message that your customers see from you is really important. This is your very first chance to showcase your online service and make them feel welcome. We’ve now introduced editable welcome messages to Front Desk so that you can greet guests on your website just as you would in your hotel. Once you’re logged into the Triptease platform click Front Desk in the left hand menu to expand that section, then click Settings. 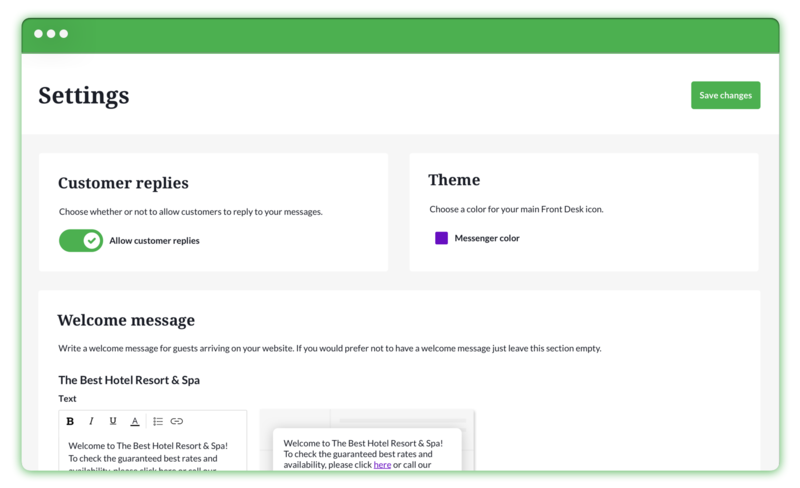 We’ve had a little redesign of the this area to make it easier for you to edit your Front Desk settings - you’ll see options to allow customer replies, change the colour of the Front Desk icon and to edit your welcome message. If you’d rather not have a welcome message you can just leave that section blank. Otherwise write your message, style it up using the rich text editor and click the Save changes button. You can come back and edit your welcome message at any time. We've built a new feature that allows staff to request card details from a guest within their conversation. We then securely transfer those details from guest to hotelier. This means one less barrier to booking for the guest. It also means hoteliers can be safe in the knowledge that they’re PCI compliant. We're so excited about this new feature that we invited Front Desk's Product Manager, Thomas, to tell you all about it himself. Our mission at Triptease is to drive direct bookings on your website. 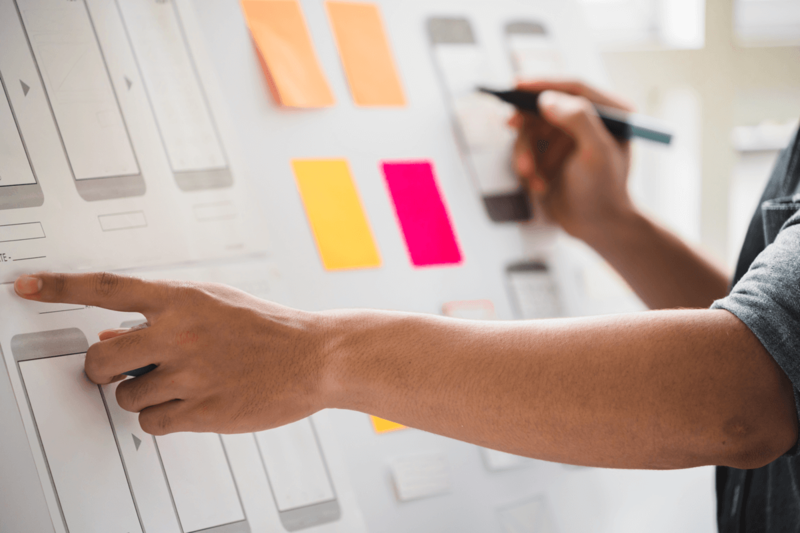 We also want to make it as quick and simple as possible for our clients to see exactly what impact the Triptease Platform is having on their conversion rate, so they can set targets and measure themselves against competitors. That's why we've built a brand new Insights dashboard within our platform. It's designed to show you all the numbers you need to know - instantly. A bar chart overview of your direct booking performance, so you can observe trends over time. We'll be adding significantly more features and performance metrics over the coming weeks, making the Insights dashboard a hotelier's one-stop-shop for direct booking data. 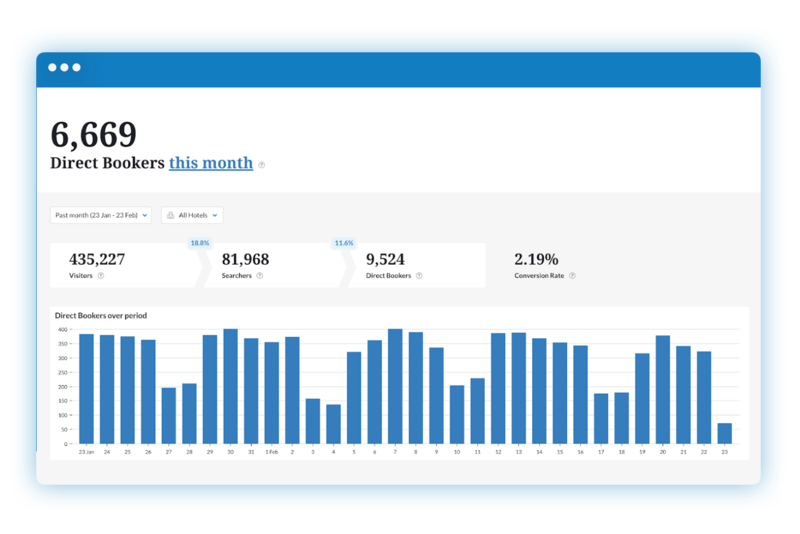 We're in the process of rolling the dashboard out to clients, so keep an eye out for it in your platform - and, as always, let us know your thoughts. What works? What would you like to see next? Get in touch and let us know! Ever since we launched Front Desk, we’ve known how effective it is at converting website visitors into direct bookers. However much of its success depends on the speed and quality of your Agents’ replies. Our aim was always to build a bespoke chat service for hotels - one that answered the unique issues faced by hoteliers. That’s why our latest update is Quick Replies - a range of saved messages within the Agent Portal that help busy, multitasking Agents give great service faster. There are two kinds of messages available: saved messages and flow messages. Saved messages are editable by your Agents and can be tailored to answer questions that are frequently asked about your hotel. Does absolutely everyone want to know how far you are from the town center? Save that response and answer guests with one click from now on. We’ve also built in some flow messages. These messages can't be edited. They are designed to recognise what stage in a conversation your Agent is at, and provide a relevant response or follow up-question. This means your Agents continue a conversation easily, handle multiple chats simultaneously, and give your potential guests a taste of the personal service they can expect in your hotel.